Want to build the next great 3D app? Get a running start with our brand-new Boilerplate asset for Unity – featured today on Developer Labs. 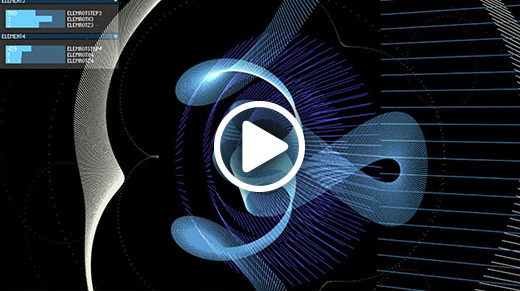 Plus, a new WebGL demo that lets you control five different music-driven visuals. Also new this week, three.js projects, shark-punching with Oculus Rift, touchless typing, mathematical art, and basketball dribbling like a pro. To subscribe to our developer newsletter and get updates through email, click here. Join us at GDC to explore the frontiers of 3D app development with Leap Motion and Unity Technologies – and preview some new demos! Plus, Leap Motion experience engineer Daniel Plemmons will be speaking at the Unity booth on Friday, March 21 at 10:45 AM about motion-controlled interaction design for games. Integrate your Unity3D projects with Leap Motion interaction. We stripped our Starter Kit back to the bare essentials to get you started even more quickly, then added some great new features. The Leap Motion Boilerplate includes Leap-to-Unity coordinate conversion, simpler example scenes, and other Unity-specific helper functions. The web is all around us, and with WebGL it’s easier than ever to build global experiences. Recently, Bartek Drozdz and his colleagues at Tool created interactive sound-driven visuals for a party. On Developer Labs, you can find deep insights and technical perspectives on Leap Motion projects, natural user interfaces, and developer communities worldwide. Want to contribute a guest post? Submit your proposal. Three.js dominates the toolkit this week, starting with a new three.js wrapper from Scott ​Byrns that makes Leap Motion interaction easier to use in your project. Reach for the sky – Scott also created a virtual solar system in three.js. Created for uses in healthcare and rehabilitation, Ajay Ramesh’s student project LeapcapJS can record and playback your hand movements. To see the latest UI elements and sample code shared by the community, check out Community Libraries. You can share your code in the dev category on our community forums. Sharks are horrifying murder-beasts that predate the dinosaurs. But that doesn’t mean you can’t punch them in the face! 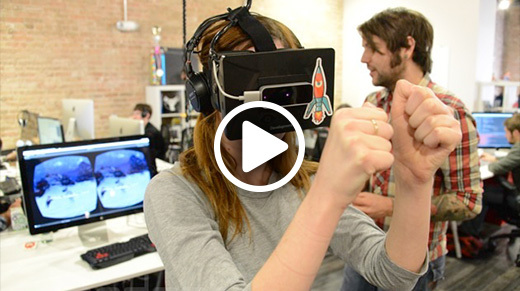 Recently featured on Engadget, SharkPunch is a game demo from Austin-based studio Chaotic Moon. From the kitchen to the operating room, there are lots of places for touchless typing to shine. 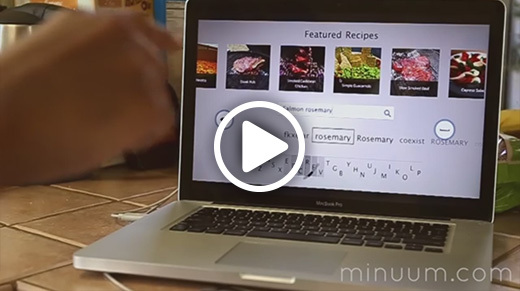 Minuum is working on integrating their one-dimensional Android keyboard with Leap Motion interaction. Mathematical! With creative developer Jean Helfenstein’s Leapochoid experiment, you can create and render your own unique 3D shapes. It’s available to download free for Mac. 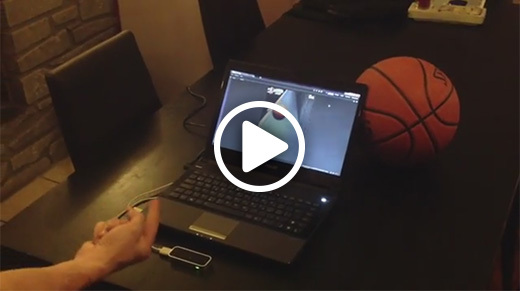 Dribble and spin a ball like the pros with Jérôme Layat’s uDribble Basketball game concept. Whoops, did we feature this already? Well, just in case you missed it, we’re showcasing some brand-new demos at this year’s GDC, and Daniel Plemmons will be discussing motion-controlled interaction design for games. We hope to see you there!